I was in a pretty bad car accident last month. It was around 10:30 PM, and I was leaving the train station to drive home. As I was turning left in the intersection to exit the train station, another driver ran the red light and hit me on my side, totaling my car. Thankfully, the impact was mostly on the rear door rather than my door, but it was hard enough to spin my car in the intersection (?) and deploy the airbags. 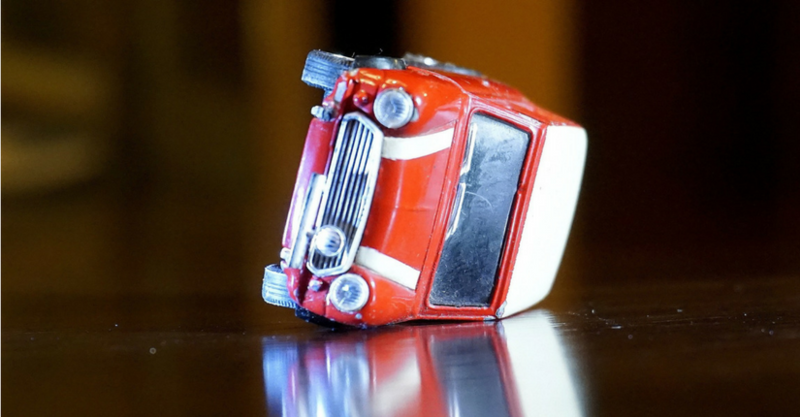 Circumstances being what they are, I thought now would be as good a time as ever to blog about car insurance since I’ve been in that world for the past 6 weeks, and it can be quite confusing. So without further ado, I’d like to give y’all a primer on automobile insurance, updated for 2019. Let’s start with the basics. Like all insurance, automobile insurance is a contract (some would say a bet) between you and your insurance company. You pay money to your automobile insurance company — the money you pay is called your premium —and in return, your insurance company promises to pay you money up to a certain amount — called your limit — to compensate you for specific expenses in the case of an accident or other unfortunate occurrence. The types of expenses for which your insurance company promises to pay you for depend on what types of coverage you have. Coverages are explained in greater detail in the next section. Typically, your insurance company will only pay you money once you have already paid a certain amount out-of-pocket. This certain amount is called your deductible. The higher your deductible, the lower your premiums. Let’s give an example. Let’s say that you have collision coverage (explained below) with a $10,000 limit and a $1,000 deductible, and you happen to incur $10,000 of damage to your car as a result of an accident. In this case, your insurance company will only pay you $9,000 since you have to come up with your deductible — the $1,000 — out of pocket. Got all that? Good. Now let’s talk about the specific types of auto insurance coverage. What it is: this covers damage to your car caused by an accident. Most automobile lenders require you to have collision insurance, but if you don’t have a loan on your car, it’s your choice. Do you need it: depends. If you drive a pretty crappy car, collision insurance may not be worth it because you’d be more likely to just buy another car than keep your current one if it were damaged. However, if your car is nicer/newer, collision insurance can be a good idea. What it is: this covers theft as well as damage to your car caused by something other than a collision, such as an “act of God” or vandalism. Do you need it: similar to collision insurance, it depends. If your car’s a real beater, it might not be worth it. But if you have a cool ride, it might be worth it. What it is: this covers damage to other people’s car or property caused by you in an accident. State law requires that you have a certain minimum amount of coverage for this kind of insurance. Do you need it: yes. Not only is it the law, but it’s a very good idea. Unlike collision and comprehensive insurance, which only covers your car, property damage liability insurance covers another party’s vehicle. And you really don’t want to be on the hook if you total a Lexus. I’d recommend that you have at least $25,000 of Bodily Injury Liability insurance. Whatever damage exceeds your coverage, you will have to pay out of pocket to the other party. What it is: this covers injuries to other other drivers and pedestrians caused by you in an accident. Not only does it cover medical bills, but also pain and suffering, wage loss, and funeral expenses in the case of a fatality. Like Property Damage Liability, state law requires that you have a certain minimum amount of coverage for this kind of insurance. The coverage amount for this kind of insurance has two components: the amount covered per person and by occurrence. For example, you may have $50,000 of coverage for any one person but $100,000 for any one incident. So if you cause an accident that injures one person for $75,000, you would only be covered up to $50,000 and would have to pay $25,000 out of pocket. But if you cause an accident that injures two people who each have $50,000 of injuries — so $100,000 for the whole accident — then you are fully covered because the injuries did not surpass $50,000 per person or $100,000 for the entire occurrence. Do you need it: yes, for the same reasons as Property Damage Liability. I’d recommend that you have at least $100,000 of Bodily Injury Liability insurance coverage per person and $300,000 per occurrence. Whatever damage exceeds your coverage, you will have to pay out of pocket to the other party. What it is: this covers injuries to you as well as your passengers. It applies regardless of who caused the accident. Note that in some states, this kind of insurance coverage is not available, and you could be covered by Personal Injury Protection insurance (see below). There are no deductibles or copays associated with Medical Expense insurance. Medical Expense insurance does not cover wage loss. Do you need it: probably. If you have awesome health insurance, you may not need it to cover your injuries, but what about your passengers? Also, unlike your health insurance — which may have deductibles — there are no deductibles or copays with Medical Expense coverage. What it is: this covers injuries to you as well as your passengers. It applies regardless of who caused the accident. Note that in some states, this kind of insurance coverage is not available, and you could be covered by Medical Expense insurance (see above). There can be thresholds with Personal Injury Protection insurance, meaning that you or your passengers must incur a certain amount of medical expenses before Personal Injury Protection insurance will apply. Personal Injury Protection insurance typically covers wage loss. Do you need it: probably for the same reason as Medical Expense insurance. What it is: this covers damage to your car as well as your medical expenses in the event that another drive is at fault for an accident and does not have sufficient insurance coverage. Do you need it: probably. There are plenty of people driving around these days with very low insurance coverage (typically the minimum required by state law). In fact, the driver who totaled my car had the lowest legal limits. He only had Property Damage Liability insurance of $5,000, but my totaled car was valued at $10,000! Thankfully, my Uninsured / Underinsured Motorist policy kicked in to cover me for the difference. Get quotes from difference agencies. How much you pay for auto insurance boils down to your insurer’s formula, which is based on everything from your age and driving history to your car make and model to your average mileage and more. And every insurance company will weigh those factors slightly differently, and in order for you to save the most money, you need to go with the company whose formula gives you the lowest rate. And to do that, you have to shop around. In the old days, you had to pick up the phone and call a bunch of insurance agencies around town to see who could cut you the best rate. You’d have to give countless tidbits of information about yourself and your vehicle multiple times. It could take hours to make sure you were getting the best rate! But thanks to the Internet, that process that used to take hours now only takes minutes now! We use Insurify to shop around for auto insurance. You answer a few questions (takes about 3 minutes, tops), and they compare rates for you at all the legitimate insurance companies: 21st Century, Farmers, Liberty Mutual, Mercury, MetLife, Nationwide, Safeco, The General, Travelers, USAA, and more! And it’s 100% free! So if you have 3 minutes of time, click here to head on over to Insurify to check your rates. You could be getting a better deal from another carrier and save yourself hundreds of dollars a year! It never hurts to check. ? Do the math on your deductibles. You’ll recall from earlier that the higher your deductible (the amount you have to pay out-of-pocket before your insurance company will pay) the lower your premium (the amount you pay to your insurance company). Now, it may be tempting to have a really high deductible to keep your premium low. But in reality, it may be much better for you to pay a little more in premium to have a lower deductible. You just have to consider the numbers. For example, let’s say that you get a quote for coverage with a $2,000 deductible that costs you $800 in annual premiums and another quote for coverage with a $500 deductible that costs you $860 in annual premiums. Yes, you are saving $60 a year by having a $1,500 greater deductible, but consider it from this perspective: you are only saving $5 a month ($60 per year / 12 months). In order for it to make sense for you to go with the $2,000 deductible rather than the $500 deductible, you would have to drive 300 months — that’s 25 years — without an accident. Ask your insurance agent if there are any discounts you could be eligible for. For example, I am eligible for discounts with my automobile insurance company based on my profession, my safe driving record, and the fact that I bundled my homeowners insurance policy with my auto insurance policy. There could be other discounts as well that you are eligible for, such as bundling your renters insurance policy with your auto insurance policy. Some companies also offer discounts to those who take defensive driving courses. It never hurts to ask! Also, if you don’t drive a lot, be sure to ask about Usage-Based Insurance (UBI). Many insurance companies will give you a discount if you drive infrequently. They will install a device in your car to monitor how many miles you drive per month and after they are satisfied that you really don’t drive much at all, they may qualify you for Usage-Based Insurance. Pay your premium upfront rather than monthly. Many companies will give you discounted pricing if you opt to pay your annual premium in one lump sum at the beginning of your coverage period rather than in monthly installments. Do any of you readers have any tips about car insurance? Let me know in the comments below!